Jeff Lowe Plumbing, Heating and Air Conditioning is known for doing "whatever it takes" to help our customers, and financing is no exception. 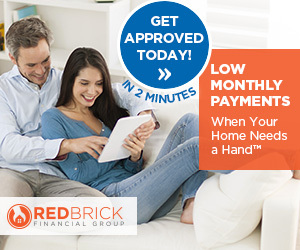 Through our Red Brick Financing Program, we enable you to invest in a new product or system for your home without breaking your monthly budget. Get approved in minutes by filling out the application form online, or contact us learn more about your financing options.